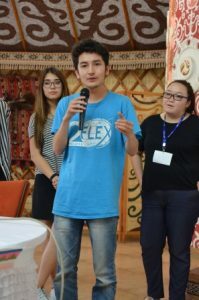 FLEX alumni from Kazakhstan and Kyrgyzstan organized grant projects following the 2016 Central Asia FLEX-Ability Workshop (CAFAW) on social entrepreneurship. Alumni shared what they learned with their communities at home and established their own social ventures. Below are the follow-on grant projects from workshop participants. Read more about the 2016 CAFAW here. The applications for the 2017 Central Asia FLEX Ability workshop is live now through June 16, 2017. FLEX Alumni from Kazakhstan, Kyrgyzstan, and Tajikistan are encouraged to apply to learn smart and modern storytelling skills! Apply today and learn more here. 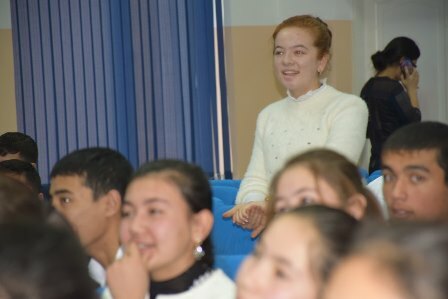 Kholida organized the Youth Leadership Workshop 2016, introducing business and social entrepreneurship theory and practical training to 300 high school students in three villages in Southern Kazakhstan. 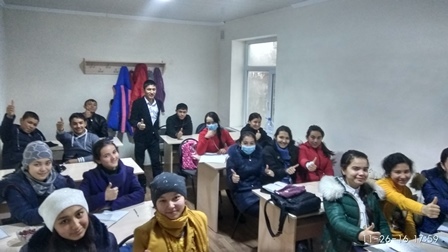 Wanting to reach the students where they are and offer the most effective training she could, Kholida traveled to the villages and led the trainings in Uzbek language, since the villages are Uzbek-populated communities living in Kazakhstan. 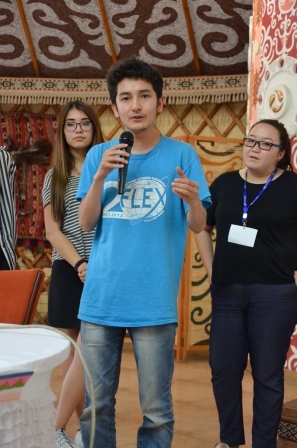 In each of the three villages, local business people spoke about their experiences building businesses in Kazakhstan and putting social entrepreneurship ideas into practice. Kholida led sessions according to the materials that she learned at the CAFAW workshop, including trainings on creating a plan and developing a team. The NiK Educational Center assisted with the event by announcing the workshop to high school students in their network and taking photographs at the event. A team of FLEX alumni organized the City Scouts project that taught graduates of orphanages and students from at-risk families career ready culinary and cosmetology skills. – The OASIS Foundation (http://www.oasiskg.org/) works with and helps orphans who are graduating out of the orphanage system. This organization connected alumni with 15 youth in need of career-ready skills. 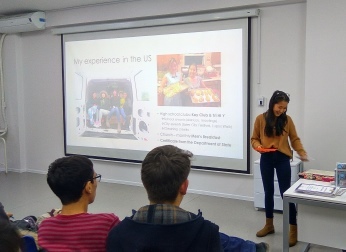 The participants were chosen because of their strong applications, noting that they were interested in the classes, in learning how to start their own businesses, and were ready to complete 40 hours of community service! 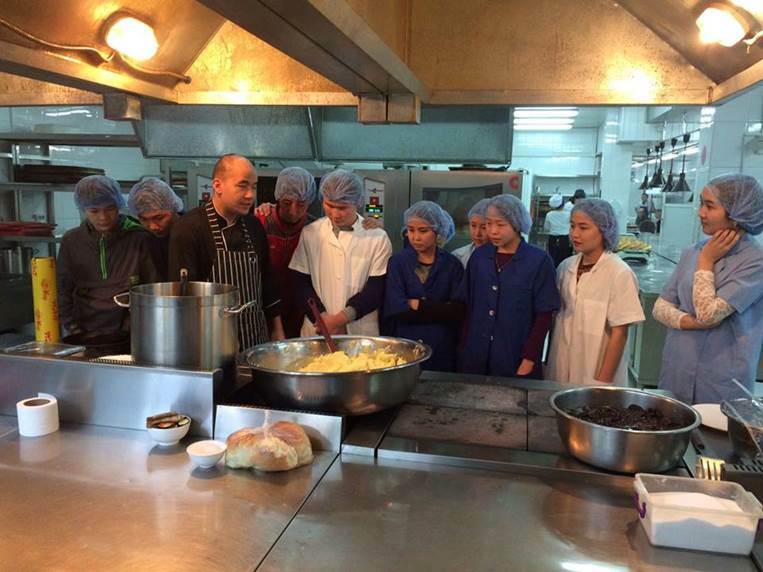 – The Asylzat Foundation: The foundation provides cooking and cosmetology classes alongside conferences about family relationships. Those participants able to complete all aspects of the training would receive an international qualification certificate from the Asylzat Foundation. The 15 participants took part in classes three times a week in their field of study and attended trainings about social entrepreneurship led by FLEX alumni participants of 2016 CAFAW, Peace Corps volunteers, and other local experts and entrepreneurs on Saturdays. 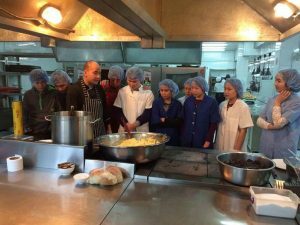 Participants also visited the Kaynar Restaurant and met with the chef, who gave everyone a tour and shared his success story. 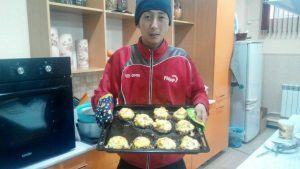 As a result of this program, two of the cooking class students will start internship in the end of January at cafes in Bishkek. FLEX alumni plan to continue this project with the support of the ProKG club (http://prokg.org/), with the aim of building in internship programs to the existing structure. A team of alumni created a practical program for 15 budding social entrepreneurs. Alumni organized site visits at some of the most successful social enterprises in Astana and organized trainings with some of Kazakhstan’s biggest change makers. Participants visited Emin Askerov, social entrepreneur and co-founder of one of Astana’s most efficient NGOs Best 4 Kids and social enterprise Green Tal and the social enterprise that Maulen organized, the Social Café (read more about the café here). 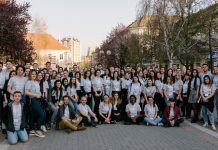 Experts in the field of social entrepreneurship led trainings for the participants to have them dive deep into the theory, followed by business case studies and hands-on workshops. Using the skills and program materials learned at the 2016 CAFAW, a team of alumni organized an introduction to business school for 15 high school students in December. Through 11 trainings, the students learned from U.S. Government and FLEX alumni, local experts, and business people during site visits. Participants left training series with a clear understanding of social entrepreneurship and a social project that they wanted to organize to support children from a local orphanage. During the community service event, the 15 participants and FLEX alumni visited the children at the Novopokrovka Orphanage where they organized games for the children and made crafts. A group of three alumni organized a workshop for 20 youth designed to teach them how to turn an idea into a sustainable business. The entire workshop was held in Oskemen, a regional city with fewer opportunities than the metropolitan Astana and Almaty. 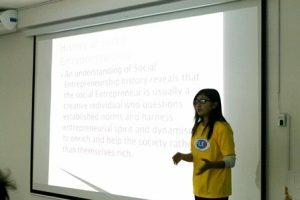 Angelina created an accelerated, express version of the 2016 CAFAW, consisting of lectures dedicated to team building, writing a business plan, approaching funding, and pitching the idea. By the end of the training, the five teams all came up with a business idea with a plan and a pitch ready to go. A participant of the workshop noted, “Before this workshop, I thought that business was only about getting money, there I realized that it is important to contribute to a society as well and it can be done through business! It has helped me determine that I want to study business administration in college!” Mindset and life changed, check! “We can surely state that our project objectives were met and we gained first hand project management and leadership experience”, noted grant winner Zhibek Nurdin kyzy. 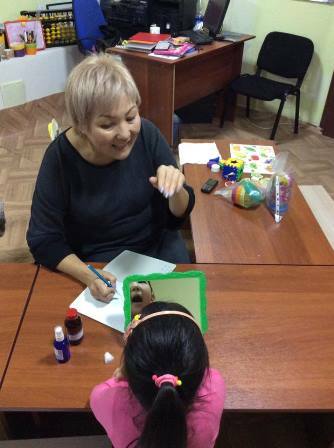 Through the project Early Childhood Development project, a group of five alumni raised awareness about speech issues that children might have and to introduce the families of the children to qualified specialists in Bishkek. Starting with door to door advertisement of the program and moving on to advertisement through schools, alumni connected with families of children with potential speech impediments. Two times a week alumni held motor skills development classes for children, which are connected to the normalization of speaking abilities. It’s considered likely that movements with hands and playing with small objects triggers brain activity, thus develops speaking ability. The project’s speech therapists led the sessions and taught FLEX alumni how to mentor small groups and individuals. The therapist also took notes on the challenges that the child had and what methods worked and did not work and assigned homework. 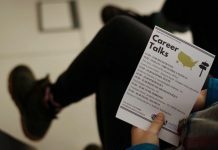 In addition to the classes, alumni organized three talks with experts on speech delay and created a Facebook group, to encourage families to continue communicating and sharing best practices that they learn. 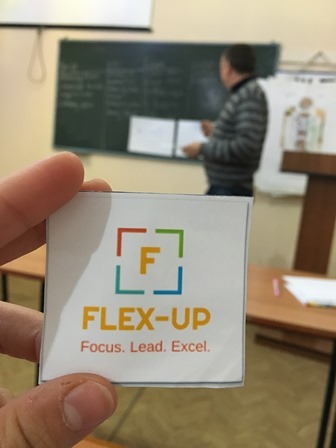 In October, Aknur organized the FLEX-UP (Focus, Lead, Excel – Use Potential) conferences for youth. Using the 2016 CAFAW model and materials, Aknur held sessions on team building and various aspects of social entrepreneurship. In total 40 students student body government representatives from schools in Astana and Karaganda attended the events. In addition to the presentations that Dana organized, a local entrepreneur shared his experiences of opening businesses in Kazakhstan and answered participants’ questions. 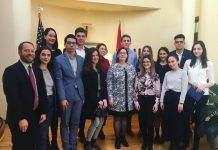 Fakhriddin and team of alumni organized three trainings on youth leadership for a total of 250 students and a workshops for 70 teachers on modern teaching methods and the U.S. system of education. Fakhriddin noted that he used the presentation skills that he gained at CAFAW to develop his presentations, making him a more effective trainer.